I ALWAYS thought I would be a Basketball Coach Growing up... I even applied for the head coach job for my Alma Mater High School and was passed up. My Running journey has lead me to want to learn MORE and help others in the process. Today I am a certified RRCA Running Coach.. that being said I do not feel fully confident charging to be a Coach.. I need practice. Insert my WONDERFUL buddies/guinea-pigs, ladies who are willing to trust me with 16 weeks of their Running fate. First Marathon Portland 2011, on a RAINY day with a STRONG performance. She has untapped speed and a runner's physique. The PLAN is for her Second Marathon. 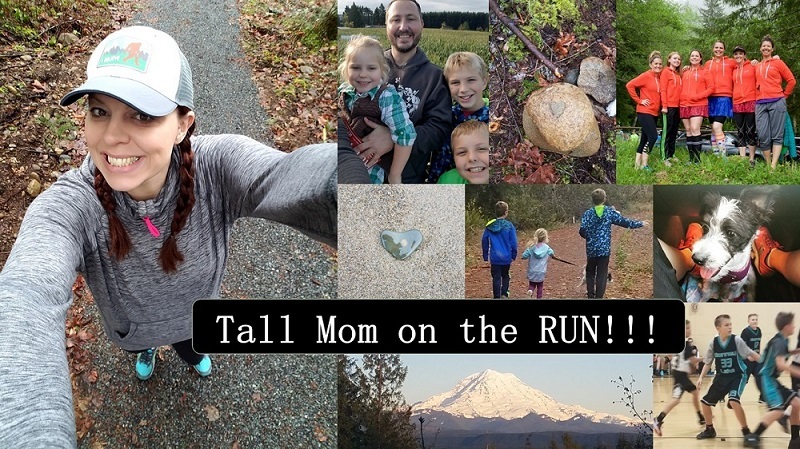 Harmony is training for the Spokane Windermere Marathon May 14th and will be amazing!! I developed a 4 day a week plan around her daycare schedule with some ambitious Goal Pace miles during her long runs and recovery runs the following day. She is ROCKING her training despite the SNOW covered roads, frigid temps and a broken treadmill. I wish I could run with her, but the 4 hours and Mountain pass between us makes it hard. We keep in touch via text, email and I asked her nicely to log her miles on Daily Mile. So far so good, although there have been a few hiccups on my part, inputting the wrong date, not having the column total, not explaining the key at the bottom, etc. All good lessons for me as I go forward with Coaching. Chelsea told me last September that she was ready for her First Half Marathon and asked if I would help coach her. TOTALLY Honored!! Race day is Rock N Roll Seattle June 25th so Chelsea is only 1 week into her 4 day a week training. She likes to cross-train, so we are trying to keep her schedule flexible. Since she is newer to the racing I created her zones based on a 5K race. The First plan I created was way to SLOW, she set me straight and now has a good plan which will get her to the start line ready to run and FINISH. We keep in touch via text, email, facebook and daily mile and the occasional Greek Dinner. Since she is just an hour down the road, I plan to run with Chelsea after Boston, when she is into her higher mileage training weeks. Please head over and visit my ladies and wish them GOOD LUCK from Coach Tall Mom. Need coaching advice? Email (Tallmomontherun @ hotmail) I will reply as soon as I can. If I don't know the answer I will find someone who does. Best of luck to both ladies and best of luck to you the coach! What lucky girls to have you as their coach! I feel the same way with personal training. I'm certified...but...I need practice! and time to practice! No better way to get some experience than with your friends! You make a great coach! If there was anyone I'd want coaching me in my running it would BE YOU! Way to go to you and those lovely ladies! Congrats on the RRCA! I was just certified last month. Have fun with the ladies you are coaching! Love that B/W of Harmony! Awesome shot. I am sure you will guide everyone you help to wonderful successes! Your alma mater passed you up? Worst. Decision. Ever. Seriously, what were they thinking? Anyway, guess running benefits from having you focus more on our sport than on hoops. Yes, you are an awesome COACH! Even better -- you truly inspire you pupils to go over and beyond without expectations. I can't thank you enough for what you have done for me Mel!!!! I love daily mile! I've been using it for about a year now. I just found Chelsea via bloggyland and of course, Harm is my girl!! You are going to excel as a Running Coach! I totally appreciate our texting!! Your encouragement and belief is HUGE to me and so many of your readers! i'm sure you are an excellent coach. if fact i'm drafting a list of question (nothing major just small inquired) now. hopefully when i'm not so busy (ick for being swamped) i can hit send! I am sure you will be an AWESOME coach. Good luck with your running clients! Way to go! I'm working towards my personal training certification and I honestly don't think I'll feel any different than you about it. I need help! !1 I have SO many races I am all sorts of confused!!! =) but seriously...I will call you soon but this weekend is crazy with all day training on Sat and race day Sunday. Maybe I'll give you a call on my 1.5 hour drive home in the late afternoon. I'll text you first. you are so sweet and inspiring! Great post Coach! I am seeing a difference and think the plan is working! What a great way to get started coaching! I look forward to hearing how they do!